Everyone loves to listen to music and today it is easier than ever to listen to your favorite music wherever you are. One of the most popular gifts today are download music cards. Here is a great way to keep your company name out there. 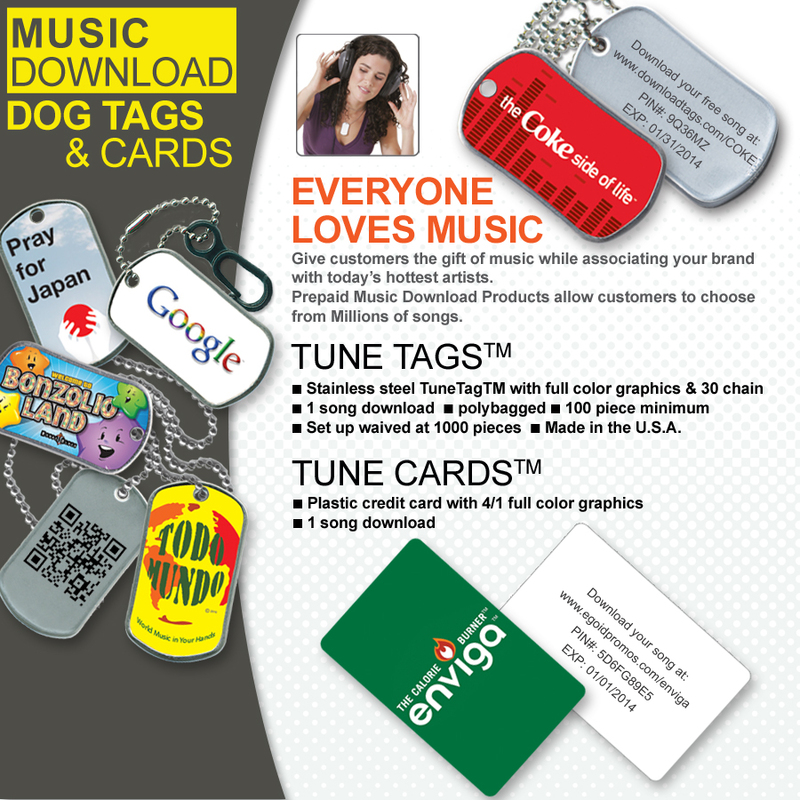 Custom ID dog tags that come with a song to download. Hand them out at corporate events or the next party you are planning. Also a great trade show item. Not only will your name be on top of mind but when they purchase the song, they will think of you every time they listen to it. What a great idea! And inexpensive, too. We also carry the traditional download cards, download gift cards and seeded download cards. Looking for a different download item? We can help you with download audio books, movies and more.